XM pioneered the offering of an MT4 platform with trading execution quality in mind. Trade on MT4 with no requotes, no rejections, and flexible leverage ranging from 1:1 - to 500:1. The XM MT5 offers all the pioneering features that the XM MT4 has to offer, with the addition of 300 stocks (shares) CFDs, making it the ideal multi-asset platform. Trade forex, stocks, gold, oil, equity indices and cryptocurrencies from 1 platform with no rejections, no re-quotes and flexible leverage from 1:1 to 500:1. 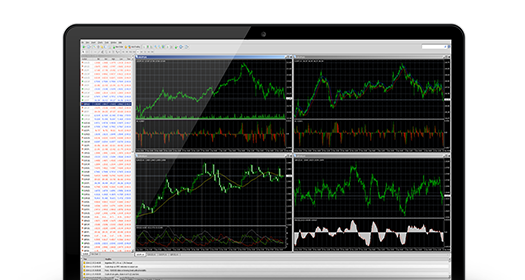 A forex trading platform is in essence the software provided by XM to its clients to carry out their trades. 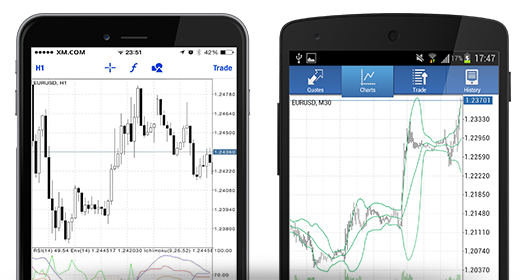 XM offers forex trading (currency trading) on all its platforms. Our clients can choose the trading account that meets their needs and select the trading platform of their choice during their registration. Kindly note that the XM WebTrader is part of the MT5 family of platforms and therefore accessible with the login and password a client would use to access the MT5 family of trading platforms. How Can I Gain Access to Any of the XM Trading Platforms? 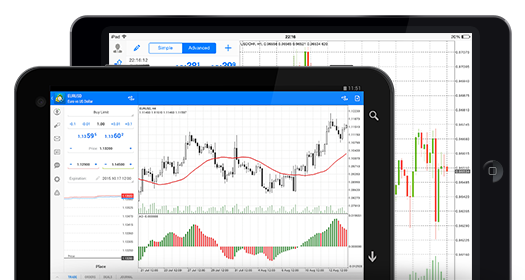 To gain access to any of the XM trading platforms, you will need to have a demo or a live trading account. Each unique account provides you with a login number that allows you login to the trading platform that you selected during the registration. Depending on your needs, you can choose MT4 (FX trading platform) or MT5 (multi-asset trading platform). What is a Multi-Asset Trading Platform? A multi-asset trading platform is a trading platform that allows clients to trade not only forex but also other asset classes, including CFDs on stocks, stock indices, precious metals, and cryptocurrencies. XM offers clients multi-asset trading on the MT5 platform. Clients who wish to trade on multiple asset classes, will have to select the MT5 as their platform of choice during registration. Existing clients who currently have a trading account on MT4 and wish to also maintain an account on the MT5 platform can open an additional account from the XM Members Area and select MT5 as their platform of choice for their additional account. The decision about which platform to choose is clearly based on what a client would like to trade. At XM, clients have the choice to select the MT4 family of platforms or the MT5 family of platforms. 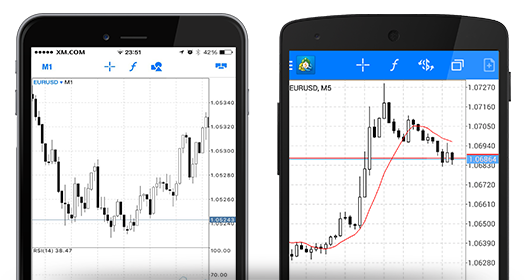 What is the Difference Between the MT4 Platform and the MT5 Platform? The primary difference between MT4 and MT5 is that MT4 is predominantly a forex trading platform, while MT5 is a multi-asset trading platform. 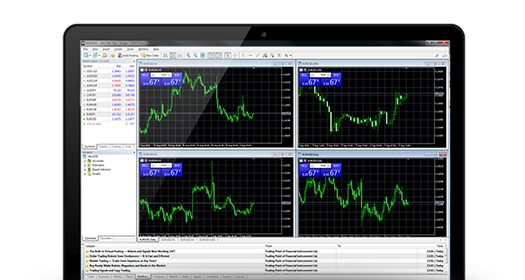 This means that MT5 offers not only FX but also trading in stocks, stock indices and precious metals. At XM, by choosing the MT5 platform to trade on you also gain access to the XM WebTrader platform. How Can I Deposit to the Trading Platform of My Choice? To deposit funds to the trading platform you trade on, you will first be required to open a live trading account. Your live account will give you access to the XM Members Area, which is were you will be able to deposit and withdraw funds from your trading account. Any funds deposits and withdrawals, the changes of settings to your account are made via the XM Members Area, which will all reflect in your trading platform as per the on-screen instructions provided while carrying out these actions in your personal Members Area. Yes, you can. XM offers mobile trading for all its trading platforms, and our clients can download the matching application of their platform of choice for both Apple and Android devices. The instructions of how to access the mobile trading platforms can be found on the relevant page of the mobile platform itself on the XM website. Can I Deposit or Withdraw to My Trading Platform From my Phone? Yes, you can. At XM deposits and withdrawals are performed via the XM Members Area, which is fully functional on all mobile devices and which has been designed with mobile trading in mind. Are All Platforms Accessible with the Same Login/Password? No, they are not. 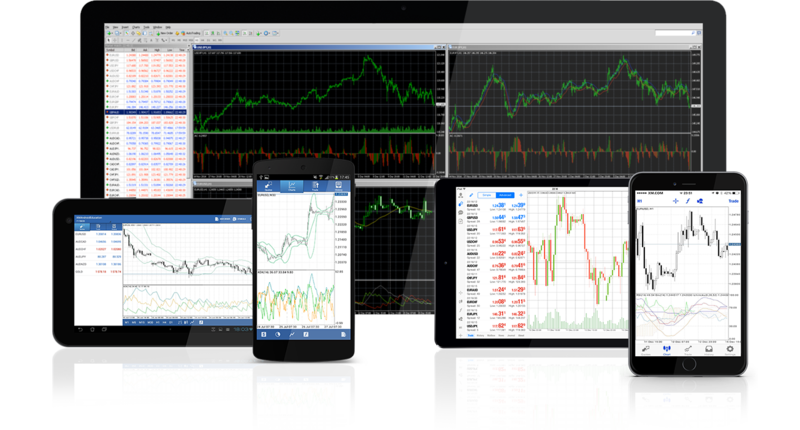 All platforms in the MT4 family are accessible with the same login and password, while all platforms in the MT5 family are accessible with the same login and password. Please note that the XM WebTrader is part of the MT5 family of platforms and therefore accessible with the login and password a client would use to access the MT5 family of trading platforms.